IAF MiG-21 fighters perform during the 79th Air Force Day function at Air Force Station in Hindon. 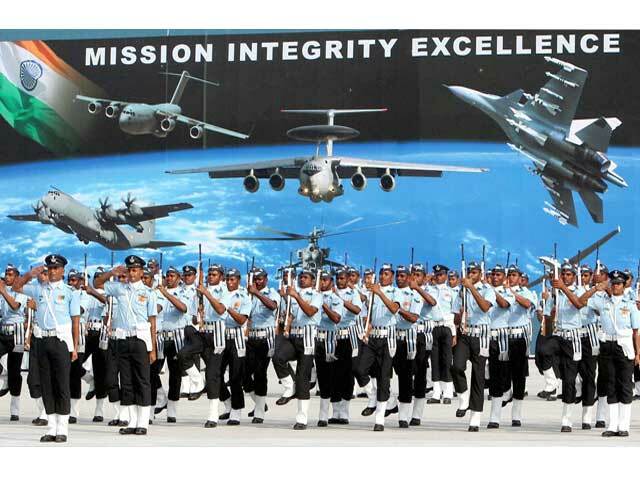 Indian Air Force personnel march during the 79th Air Force Day function in Hindon, Ghaziabad on Saturday. 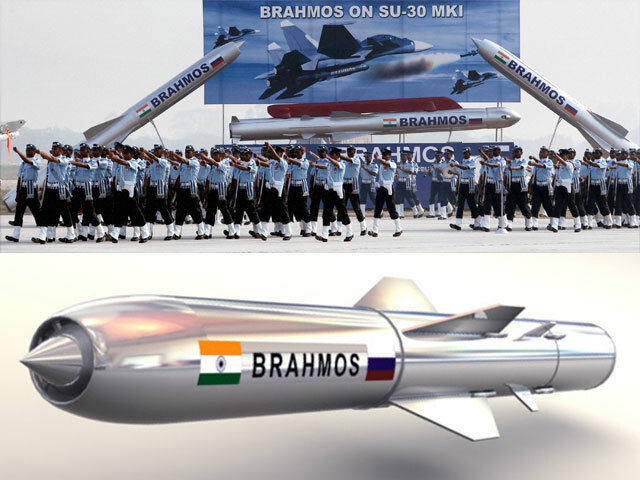 BRAHMOS supersonic cruise missile is seen in the backdrop. 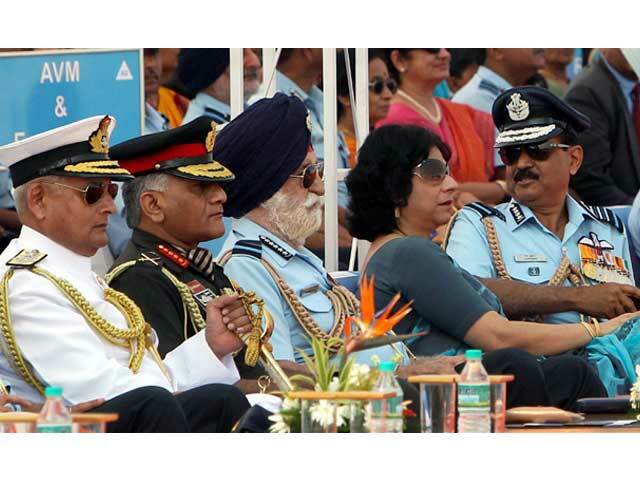 Chief of the Air Staff, Air Chief Marshal NAK Browne with his wife, Marshal of the Indian Air Force Arjan Singh, Army Chief Gen V K Singh and Navy chief Admiral Nirmal Verma during the 79th Air Force Day function in Hindon, Ghaziabad on Saturday. 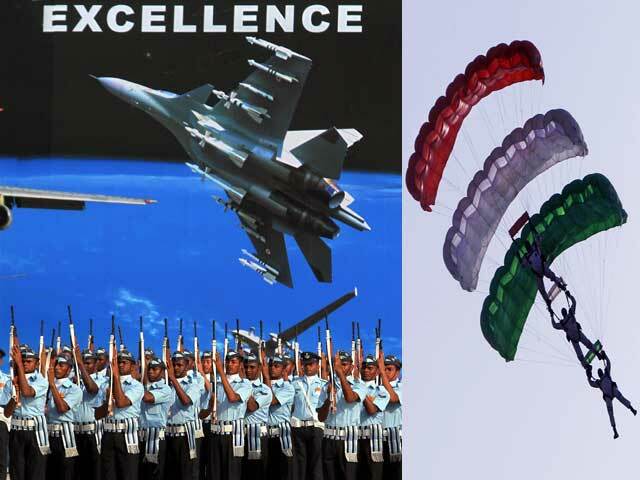 IAF personnel and paratroopers (Right) during the 79th Air Force Day function at Air Force Station in Hindon. 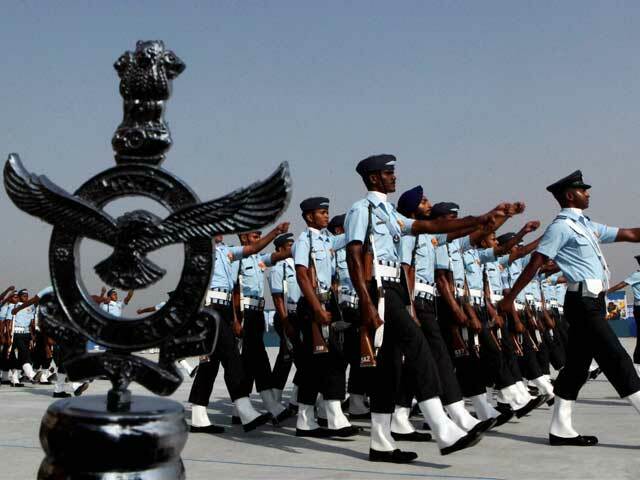 Indian Air Force personnel march during the 79th Air Force Day function in Hindon. Indian Air Force personnel perform with guns during the 79th Air Force Day function at Air Force Station in Hindon on Saturday. 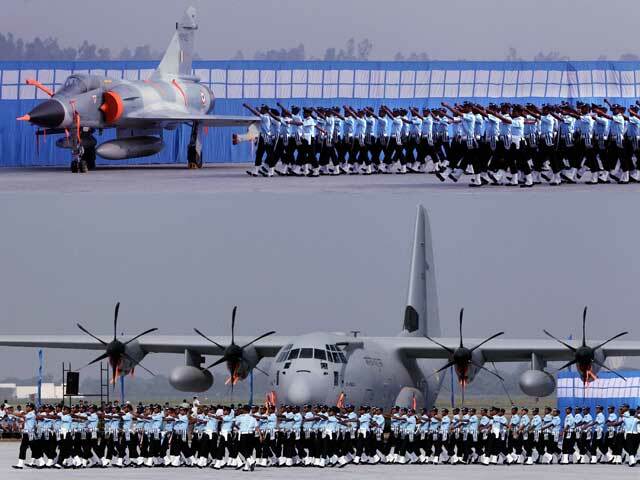 IAF personnel march during the 79th Air Force Day function in Hindon. 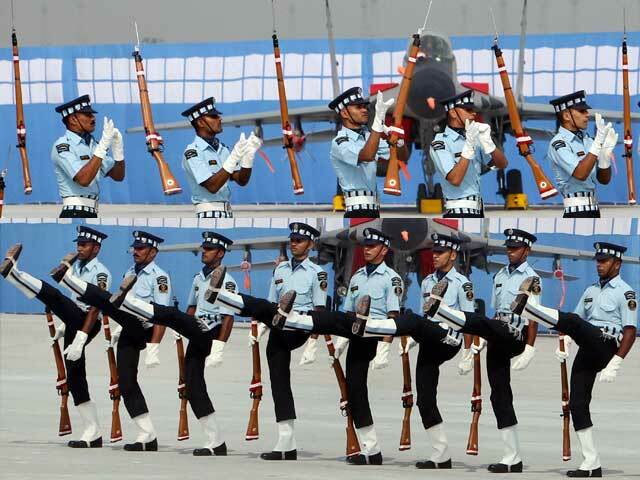 Indian Air Force personnel perform with guns during a the 79th Air Force Day function at Air Force Station in Hindon. 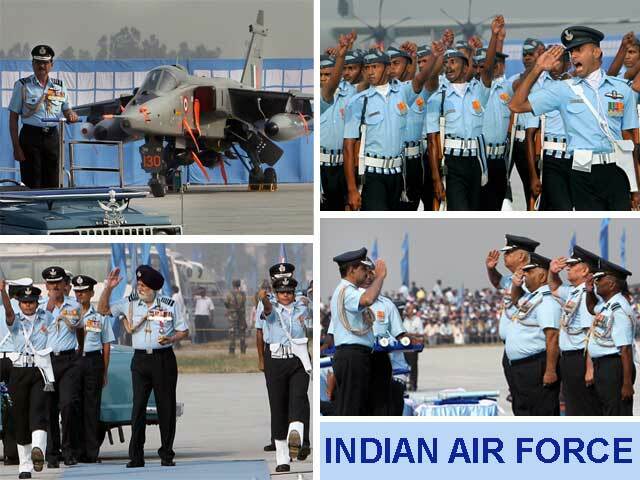 Indian Air Force personnel salute during the 79th Air Force Day function at Air Force Station in Hindon. 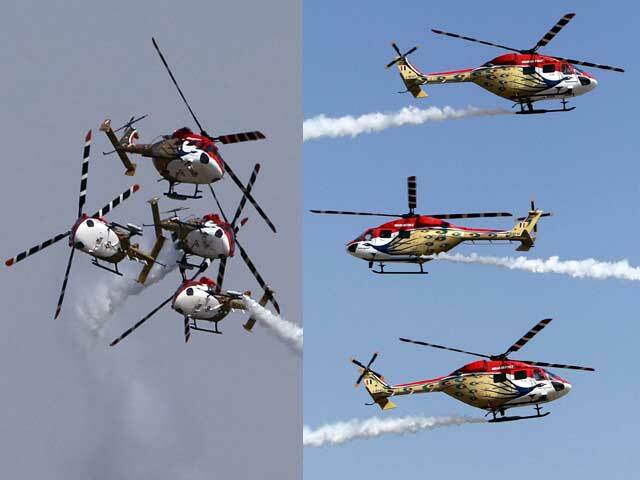 India Air Forces ALH team performs during the 79th Air Force Day function in Hindon, Ghaziabad. 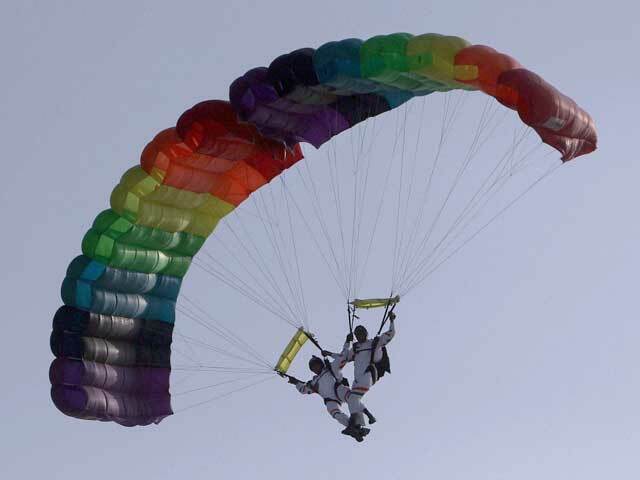 India Air Forces paratroopers perform during the 79th Air Force Day function in Hindon. 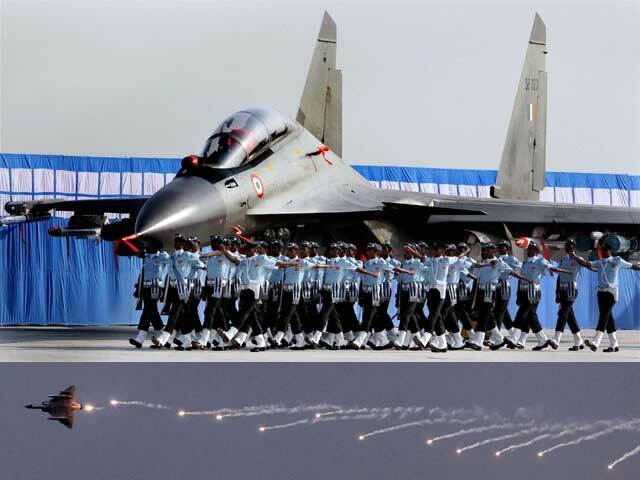 Indian Air Force personnel march past a Su-30MKI aircraft. 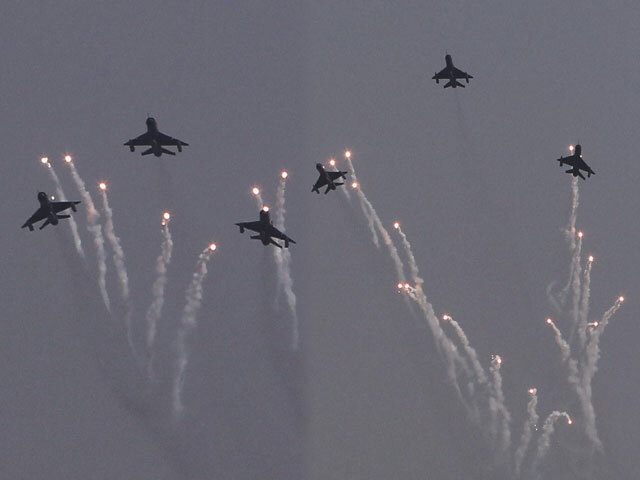 IAF's Mirage aircraft (Below) fires flares as it flies past during the 79th Air Force Day function in Hindon, Ghaziabad on Saturday. 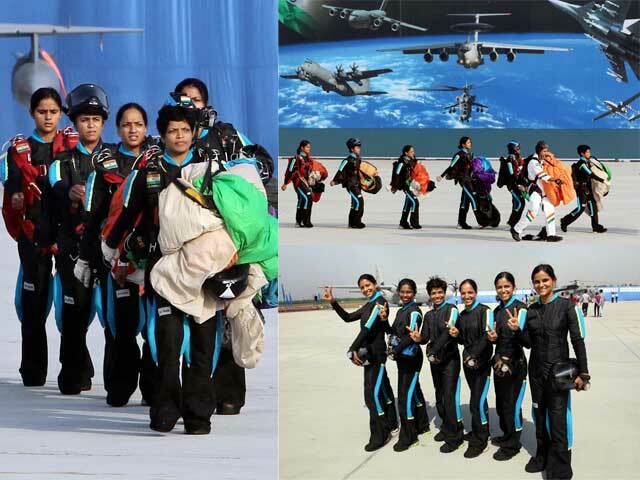 Indian Air Forces women skydiving team during the 79th Air Force Day function in Hindon, Ghaziabad.